818 Headband aka Sour OG is a hybrid that combines the power of OG Kush genetics with Sour Diesel's intense flavour. 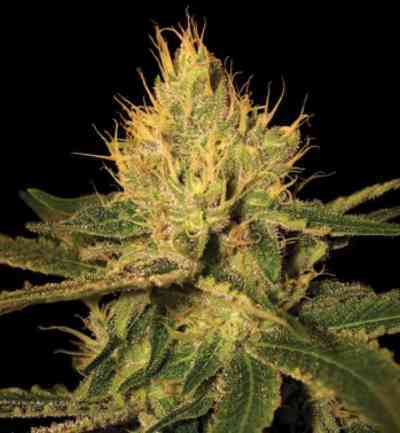 This cross between two of the more powerful and tasty cannabis strains in the USA offers vigorous plants, forming a main cola surrounded by long stems to increase the final yield thanks to its side branches. 818 Headband's flowering period takes around 8 weeks, producing high yields depending on the growing method and ambient conditions. Its flowers are full of resin, with an intense taste of gasoline and ripe fruits: carbon filters or other anti odor systems are highly recommended to control its pungent and volatile smell. 818 Headband's effect is intense, euphoric and stimulating creative, also suitable to combat anxiety and pain, being deeply relaxing.